My brothers and sisters in Christ, it’s time to gather for a family meeting. Maybe you remember family meetings as a child or even as a parent held some with your own family? If so, you know the purpose of these family meetings is to address some issue or make some decision that affects the whole family in order to discern solutions, achieve peaceful familial accord, and provide direction. And so, let’s gather in the living room and talk. 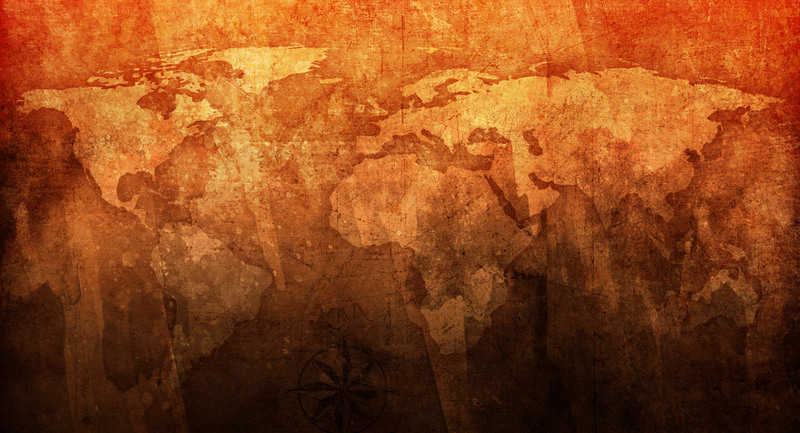 I subscribe to a plethora of e-newsletters covering the range of politics, education, media, technology, Web marketing, news, Israel, and, of course, Bible prophecy. 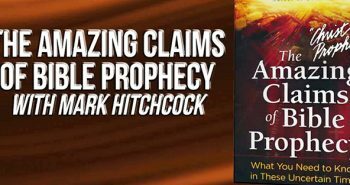 I receive Bible prophecy e-newsletters from Hal Lindsey, Jan Markel, Chuck Missler, Bill Salus, Kade Hawkins and a half-a-dozen others. I love reading as much as I can from each of these great sources, and value all they have to say, whether I personally agree with their conclusions or not. I have learned from several people of the absolute trashing of fellow believers on a very popular Bible prophecy teacher’s website. This is being condoned and supported by the webmaster because these prideful (and potty mouthed) individuals agree with “their” position. What amazes me is that provable errors are being presented as truth, and it seems that these errors no longer matter and in fact are being supported. I was reading some very good posts on this site showing very solid evidence both scriptural and historical and yet the hate and venom coming from these people are mind blowing. The teachings of man are being elevated higher where reason, logic and properly applied hermeneutics are all being thrown out. Scripture is ignored and the witness for Christ has been destroyed. Look for a special issue and announcement in the very near future. Well, first off, may it be known that I like Ray Gano. I’ve always enjoyed running into him at conferences and sharing Web ministry ideas. I may have gotten the position at Lamb & Lion that he applied for, but he’s never (that I’ve known of) held a grudge that the Lord wants me serving here and himself serving at Prophezine. Second, I have to thank Ray for not saying our website or my name directly, and instead using “very popular Bible prophecy teacher’s website” and “webmaster.” Although, from the letters that came in from folks flabbergasted that a Bible prophecy ministry like Prophezine would waste pixels lambasting another Bible prophecy ministry’s website, folks knew what and who he was referring to. So let’s talk about the comment the Prophezine e-newsletter states was posted on this blog. Because, it was. On Tuesday, March 17, 2009 6:21:00 PM CDT, someone using the default name “Anonymous” posted an angry comment inside the thread discussing the Sunni view of the Mahdi, a sub-topic of the much debated “Antichrist will be a Muslim” theory. It was a rather strange comment, really, not in character with any of the visitors I’m familiar with, and out-of-place in the discussion. But still, the discussion was heated as folks who held either side of the discussion felt frustrated others weren’t accepting their point-of-view. So, the comment could have been made by one of our regular visitors, but I personally doubt it. What I think many of us agree is a perk to this site is the opportunity to have a free discussion of topics without needing approval before one’s comment is posted. It generates a lot more discussion and builds good dialogue. For me, I’ve even made new friends with this format. I read every comment every person leaves, and per our discussed rules delete comments that swear, are too long-winded (which we all can be), double as spam, or are totally irrelevant. As per our rules, I deleted that comment. In the time delay that it took me to do that, if the comment caused anybody offense, as it did seem to Ray, my deepest apologies if it offended. As for those who get involved in the blog discussions and the many that just observe without posting, I defend their right to discuss various theories, express their emotions, talk about God’s work in their life, share advice, and just generally work out their salvation with fear and trembling. That we’re a prideful, potty-mouthed group of Dave Reagan-worshippers who are beyond reason, logic and applied hermeneutics, as Ray put it, I most vehemently disagree. What makes The Christ in Prophecy Journal great for me is the blessing of so many people that add so much richness by adding their various biblical interpretations, well-researched verses, varying theories, and most importantly their devotion to God. Sure we get a few Muslims and atheists join in, but everyone reaches out to them in love, taking the opportunity to share the Gospel with them. What I have discovered in reading previous Prophezine e-newsletters and from some supporters of the “Beast from the East” Antichrist theory, is that they are dismayed that many of those who support a Roman background for the Antichrist are just not convinced by their arguments. They go on to assume that since we haven’t found their arguments have altered ours, that we must be blindly following the teachings of unenlightened men. That we have so much discussion on this site is proof that our readers want to know what both sides believe, and are well read on the subject. I’m sorry, Ray, that me and others are not convinced by your theory, but that does not make us stupid, blind, or ditto-heads. And here’s the real crux of the issue… all this fuss over the origins of the Antichrist really doesn’t matter. Sure, some who hold to the Post-Tribulation view feel very strongly that they have to know who the Antichrist is in order to avoid the Mark of the Beast and thereby avoid eternal damnation, and I give them that. But, what the origins of the Antichrist really are is not even secondary doctrine, much less primary. When it gets down to it, some Bible prophecy teachers have rested their entire teachings, and thereby their entire relevance, on this one “Antichrist origin” non-issue. Because their reputations and even livelihoods are based on this theory, they must make sure it stays in the discussion. It can be the only reason Ray’s keeping this going, and even plans yet another special issue to talk about us talking about it. I’ve been asked many times what I’d do if I found myself living in the Tribulation and wrong about the timing of the Rapture. 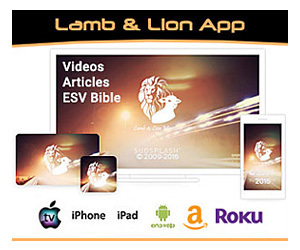 Like many other noted Pre-Tribulation Rapture supporters have answered, “write about where we went wrong.” Lamb & Lion Ministries will only hang our hat, and our reputation, on the primary, essential doctrines and continue to preach the soon return of Jesus Christ. Thank you, Family, for your time! Now, let’s get back on track and move on united in bringing souls to Christ. I have to agree–WOW! That’s pretty strong language and a very ungracious (not to mention, unspecific) attack! We don’t always agree on everything, but grace says it’s okay to disagree! I’m sorry to hear that a brother in Christ is attacking the creators of this site. I pray that God will give you an opportunity for reconciliation! And I pray that Ray will be open to that. Meanwhile, we see your fair-handedness, your careful study of scriptures, and the upright way you conduct yourself on this site (which includes not retaliating). So keep up the good work. Very well put, Laura. I do believe that God will.keep us from that hour and am watching for Him to rapture us. Even though so many are committing evil in Islam and adherents are numerous in our country, we have a responsibility to follow Christ by example. Many of us fail in that endeavor but we are forgiven if we ask. I will pray for Ray and his family as I feel they need as much prayer as the rest of us. 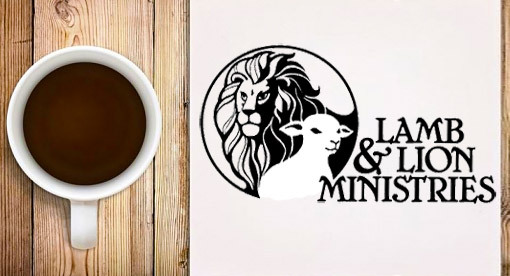 I love Lamb and Lion ministry. Finally somebody stands up and identifies the divisions on doctrine/timing issues that are not important. Will Christ be happy to see those of us who use eschatology bickering amongst each other or will He be happy to see prophecy being used to save people? Seriously, the Sunni’s believe the Shia’s are wrong and they both believe the Wahabia’s are wrong. They believe this to the extent that they killing each other. Lets not allow divisions to grow. We’re Christians for goodness sakes!! Our Lord told us to love one another – (insert your choice of Bible verse here! – sorry I’m not a minister who can whip something out off the top of my head). Bible prophecy is one of God’s greatest evangelizing tools – let us use it to grow the flock not split it and thereby weaken it! Lets stand with arms linked as a unified front for Christ but with diversity and love for each other. Even the Apostles had their differences yet they all loved each other no matter what the other’s opinion was – insert Bible reference of your choice here ;-). I know we can have heated discussions at times but I think that comes from the feeling that we share a common bond in the Christian family. We all act more openly and honestly with our family and friends than when we are around aquaintances and strangers. We tend not to supress true emotions and thoughts, knowing that we will be given that leeway. I admit at times I can get defensive on a position, be redundant and lose patience with people hammering the blog with obviously false doctrine but I always try to be civil and not say things I know Nathan wouldn’t want posted. In the end, we have different viewpoints at times but we all agree we rejoice together as Christians as we look forward to meeting each other when the Lord reigns the Earth. Now that I think about it, you (and Nathan) are absolutely right. That doesn’t sound like anything I, you, Hart, Thunder or any regular would post. So the possibility of a “Hitleresque burning of the Reichstag” exists. I haven’t had a chance to drop in for some time. But yeah…wow! Nathan, that was a very good article and you and Dr Reagan have always conducted yourselves with aplomb. I think Ray may be under some pressure and needs our prayers. I remember reading that comment myself, and thought somebody just needed to lay off the Amp Energy drink. Not once did I ever think it might be a set-up. Maybe I should have been more shocked and dismayed at the language, but unfortunately I work with “Christians” who speak the same way. And I think it’s in poor taste for a supposed brother to jump all over something like this. It’s not a competition; we’re all supposed to be on the same team. Thunder said: “Maybe I should have been more shocked and dismayed at the language, but unfortunately I work with “Christians” who speak the same way.”. I’m a Christian and I admit (though ashamed) I tend to use foul (sometimes vulgar) language at work. I don’t use it away from work so obviously I can control it if I really want to. That’s not the only way I sin EVERY day. Let’s remember Christians are still sinners, though that sin is forgiven by the blood of Christ. If not for the belief in the forgiving sacrifice of our Lord, I could not write this without distress. Nathan, Don’t let this get to you at all… we all know that you are trying to do what is right and represent different views. You allow us to speak on the subject and those that dont have an agenda respect that. You can’t be expected to monitor this 24×7 and you got to is as soon as you could. We just need to keep the main thing the main thing… Jesus IS coming soon. let me say this again, the best way to handle people who want to start something is to TOTALLY IGNORE THEM. when (or if) we, thats all of us, see some mean-spirited comment lets simply ignore it without response and let nathan remove it. that’s not to say dont debate or disagree, that sharpens us, but dispense with the namecalling and bickering. debate not divide. I would like to make clear that I did not use the word “we” in my comment. I spoke only for myself. My comment which reflects my assessment of the situation had been formulated due to direct experience in having to deal with the ‘leadership’ of that teaching – from Joel, from Walid and from Walid’s PR man – their manner of communicating and the tone they take in those communications. Simply stated, I know ‘one’ when I see ‘one.’ It will take a whole lot of solid fact and hard contrary evidence to convince me otherwise. That would be fine if it were the case. It is not the case in this instance. Nathan deleted that foul anonymous comment quite some time ago. Yet someone archived and saved and saved it. 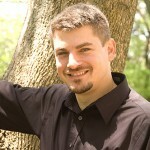 It was subsequently provided to Ray Gano, and he published it yet again on his Prophezine website with baseless accusations. This now appears to be a deliberate attempt to impugn or assassinate the character certain people. This is evident because there appears a second comment in Ray Gano’s diatribe… a comment I also recollect because it was directed at myself, appeared on another blog/form and also showed up in an email to myself. I immedaitely deleted the email sent to me from the anonymous no-reply@blogger.com sender. However, the statement of responsibility I have made above now has a very high probability of being proven beyond any doubt. There is quite likely a record, an IP address, which I know for a fact can be traced to a point of origin. This may then identify the individual suspected of making these comments. Both of the comments cited by Gano directly involve myself with respect to my comments defending Dr. Reagan’s expressed views as well as my pointed chastizing of Joel Richardson’s blogging minions. Therefore all three of us are the intended targets of Ray Gano’s smear campaign. Note also that Ray did not fully or accurately cite the full quote, nor did he attempt to place it within the context of the comments which had been made prior. If Joel or Walid Shoebat were in your or my presence, I would join you in personally turning their tables over and putting them in their place, my brother!! And that goes for every other little heresy hawking puke that violates God’s word as well. Keep up the good work Sean. If you are able to do so, please look into your http://www.lamblion,us server logs for the originating IP of that comment. Compare that IP with the IP of all the other allegedly “anonymous” comments involved with this. I am very confident that therein you will find proof in support of the statement of responsibility I made above. Forget about the anonymous numbskull who posted those comments. I cordially invite you to quote all of my comments to this Christ in Prophecy Journal. I’m a real man, I stand behind my comments, and you know me personally. So what do you say bro, let the static line rip and the bodies fall to earth under canopy and let’s be done with this nonsense you are attempting to recreate and forment anew. Please observe the last sentence above. Observe that it ended in a period. So why did Joel Richardson come here except to publicly goad Dr. Reagan in the vain attempt to raise his own stock? Joel did so by leading off with a blatantly untruthful statement: “Yet here you are once more “conducting theological debates.” Joel followed this nonsense up by tossing out two more unfounded and absurd accusations. Is that what Dr. Reagan’s article above is, a theological debate? Or is it a further amplification and defining of Dr. Reagan’s previous work? Observe also as I noted previously, Joel’s comment was followed exactly 11 minutes later with the first of several comments supporting him. Now, riddle me this, how is it that these Joel supporters are hanging around with baited breath on this Christ in Prophecy Journal which is the antithesis of Joel’s position? Don’t you find that a bit odd and a little more than coincidental? I most certainly do, and I say that from a position of closely observing and analyzing the habits of that clique for some time now. Bottom line – they have an agenda. As seen above, Dr. Reagan’s position on the matter was completely disregarding and disrespected. He is owed an apology. I am fully prepared to confront the obvious agenda at work here. More than prepared. the truth sean is on the surface it looked like some mean-spirited comment. actually i didnt read a lot of those comments cuz i chose to stay out of that debate. if you’ll notice i’m always putting my say into it but i dont think i said anything that whole debate cuz i got bored with it after 2 days and it was just getting nasty so i didnt pay close attention to what was said i simply glanced at them. That’s ok, I’ll pay attention for both of us and them some. Sarah Palin said she was a pitbull in lipstick. I’m just a pitbull when it comes to defending the Faith and those who in fullness truly preach and exegete it. Billy, I didn’t mean to imply that Christians aren’t given to slippage now and then (I admit I have inadvertantly let an unnamable vulgarity slip, unfortunately), but the people I refer to don’t even try to clean up their language. Or any other behavior. By “Christian” I mean “Churchian.” People who go to church because that’s what you’re supposed to do. And, hartdawg, I am an AMP Energy junkie. That stuff will probably kill me. I buy it by the case at a local bulk/warehouse store. I agree with Sean that it could have been a set-up by a Richardsonite, but more likely I’d say it was someone just so frustrated with the whole debate that they just let fly. Prophezine was on “favorites” list, but after this fiasco they are gone. Ray Gano’s work is no longer on my reading list. He’s entitled to his opinions and has the right to print what he wants (he served to protect that right), but there is no need to wait in ambush waiting for the “competition” to stumble. thunder, i dont like the taste of amp, i drink 3 cans of red bull mixed with 5hr energy shot (i work grave shift) whethr it was a set-up i dont know but maybe it would be wise to drop it…maybe. sean, i like your pit-bull attitude. Yeah, we definately need to drop it before it turns into some overly dramatized debate. Red Bull? Man, I gotta help keep that #88 Impala SS on the track. 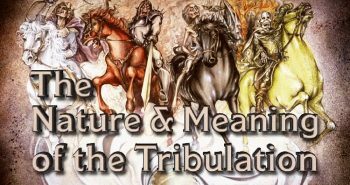 I try to follow several different site that talk about prophecy and the tribulation. I see a lot of good information on all points of views. I’ve always been a pri-trib believer. I’m open to different views because I don’t know anywhere in the bible it states in clear terms the time Jesus is coming back for us. If for some reason I’m wrong about the pri-trib, and since I’m only human, I could be wrong. I want to know other points of view. The only time I’ve heard hatred and people bashing someone for their point of view is from fellow pri-tribs talking about Joel and his “followers”. I’ve never read anything from Joel or people that hold his point of view that is hateful about pri-tribs or about the European Anti-Christ’s position. It makes me wonder who is acting more Christ like, the people who provide their beliefs (Joel and others) or the people who show so much hate towards them for doing so. “Hate” is a trigger word, Howard, used in marketing to invoke strong, negative feelings towards a people group. 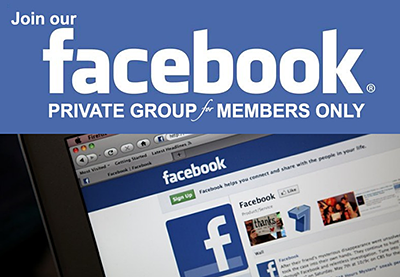 The inverse use of it can label a group, causing folks to hate the so-called haters. There is no Christian anywhere who “hates” their fellow believers for what end-time view they hold. That’s just nonsense. Wow, what happened here? Did I miss something? I dont like strife. The devil is a liar and loves to create it along with confusion. I will not cast my pearls before swine. If they are not open to Gods word then He will hide it from them. He will shut my mouth so that debates cannot occur. If a person asks a question sincerely then the Lord will reveal himself to him. Thats all I have to say about that. One more thing. I believe that Nathan and David are anointed men of God. I do not believe their characters should be question. Thats for God to decide. I say lets keep it clean and simple and to the point that everyone has understanding. The fear of the Lord is the beginning of Wisdom. I’ve posted on Joel’s website before about my belief in a Pre-Trib rapture and have been told by many of the posters on that site that my faith was not based in Jesus Christ because I follow a Pre-Trib rapture. I was also told that I was a part of the Falling Away from the Faith as prophesied by Paul because of my Pre-Trib thought. I was told by Joel himself that I am a “blind man” because I didn’t agree with his theory that Babylon is Mecca or Magog is Turkey, and disagree with his eschatology altogether. These are tactics that liberals use while debating. If they can’t win an argument or bring you to their side they resort to personal insults. Now, I agree with Sal, I don’t think they hate me or Pre-Tribbers, but I do see a strong distaste for people like myself in their writing. Howard, you are WAY off base. I have never seen a comment from any regular here that could remotely be described as “hate”. Shame on you! I have to second Gideon’s comment about Joel’s. It’s actually not uncommon to have “other” rapturists hurl the “Satanic delusion” and “fear belief” etc canards at pretribulationists. I can reference a number of website authors that do this. My references to the hate I was seeing came from people who posted anonymously, so I don’t know if they post regularly. I’m sure you can tell that from the post this article is base upon that the person was filled with anger and it sounded hateful to me. I felt offended just reading it. I’ve had a few e-mails with Joel and he’s sent me information showing references as to why he believes in a post-trib. I still can’t come around to that point of view, but I still think is good information to have. I do follow his thinking about the Anti-Christ and the one world religion being Islam. I had been raise to believe that the Anti-Christ would come out of Europe and that the one world religion would somehow be a corrupted version of Catholicism. As I grew to be an adult, I started to study and tried to find out the facts and/or theories behind what I believed, to come to a firmer understanding of my faith. As I learned about the Muslim faith I became sure it was the religion of the Anti-Christ. It was years after that that I found any web site that had the same point of view. I continue to read from many sites and to learn why people have different beliefs. I’m sure God is not even close to bringing me to where He wants me to be, but I’ll keep trying. I do appreciate your responses. I feel for the most part that the people who post to these sites genuinely Love the Lord and they like to express to views to help themselves and others to understand God and his plans for all of us. I am posting anonymously and do so respectfully. Bickering is nothing new to the Body, but I am a pretribber and cannot be dissuaded from that. I am in my seventies and alone in the world except for God. He is coming soon. We are all sinners but we as Christians are forgiven. One thing lately about the Greek Prime Minister who seems to give an appearance as does Obama of being antichrists. The Greek (I am of Greek descent) is an atheist. I am curious about what other Christians think about that guy. gideon, I scoured joelstrumpet and found many of your posts, but not any instacne where anyone called you a “blind man”. Can you show where that happened? That was several years ago when I was discussing Gog and Magog with Joel. I posted under David at that time. Why do you ask, and who may I ask am I speaking to? Thanks for the clarification which requires an apology for my misunderstanding of your remarks. gideon, I asked because to be honest I don’t believe you. Im not saying that he didnt say it, but I doubt it. If I told you who I was it wouldn’t matter. I use an online name. I do sometimes post on Joels trumpet and several other sites too including my own site. I dont want to be called names though, I read many sites and have my own views. But I have seen you post once or twice but I do not think that we have actually talked. By the way you said that it was said “several years ago” but I just looked it up and the first post was August 2005, about three and a half years ago. Anyway, if you can show where he said it I will eat my words. Shalom in Yeshua. Well thanks for calling me a liar. I used to post under my actual first name, David, but someone else started posting under David too. So, I chose another screen name. Like I stated before this was several years ago, 2 I believe, and we were discussing the Gog and Magog, and the EU. I didn’t agree with Joel’s logic and he expressed some point about “the blind man sees not.” I’m sure he was just frustrated. Maybe I wasn’t very clear, I wasn’t saying Joel was being hateful, I was saying that some of the people on that site do resort to these types of tactics. Nameless, I have nothing to prove to you. Feel free to look for it under David. I have no reason to attack Joel. I don’t hate him, just have a differing opinion. But you have come here and accused me of not only lying, but also being hatefully malicious, very Christian by the way. gideon, give me a break. I didnt call you a liar or hatefully malicious. lets put this in perspective. You publicly accused a fellow brother in Christ of saying something offensive to you in “quotes” and so i looked it up and it didnt exist. so i said I do not believe you. which you say is not very christian. whatever dude. This is exactly why I posted anonymously. Excuse me, but when you say you don’t believe what I said, you are calling me a liar. To deny that is a lie. Not only that, but you are guilty of the same action you are accusing me of…Has anyone responded to you in a debate before, said you are thick headed or blind, well, I don’t believe you until you prove it. Again, it did happen, if you don’t believe me, it doesn’t matter. I’m not going to take hours to search through posts from 2 years ago, how ridiculous! Your agenda is obvious, you look to Joel as a spiritual leader and have taken personal offense to my comment…That is your right, but it is uncalled for to call me a liar. I took offense to be referred to as blind because I did not agree, much like I take offense to those on that blog that refer to us as prideful. In other words, they are saying they are 100% right and we are lying or refuse to accept the truth, sounds like they are saying we are blind, does it not…. You said you didn’t post your name because you didn’t want to be called names, give ME a break…. In other words, you have come to this blog and accused the regular posters of being hateful. Shame on you. Howard, at one time I was a Muslim anti-christ advocate. Until I started reading with open eyes and heart. The final global religion, according to my research, which could be flawed, IS the Catholic religion. Sounds odd, but let me explain. No, that’ll take too long; let me sum up. In Genesis you read about a man named Nimrod, the first world leader. He declared himself to be God. He had a wife named Semiramis and they had a son named Tammuz. Nimrod died and Semiramis declared Tammuz the “son of God.” This is the Babylonian mystery religion. Centuries later, the Roman Empire transformed itself into the Holy Roman Church and adopted the Babylonian religion and “Christianized” it. When the Church began exploring the world, they discovered that most cultures already had these Babylonian traditions and were easily adapted to Roman Catholisism, and much of that is what we now call New Age. In fact, the cross, which hangs on virtually every church wall, is a symbol of Tammuz, and represents sun worship, not Son worship. Much of Islam has these traditions such as prayer beads and works oriented salvation. That’s why I can no longer believe in a Muslim anti-christ (although people are allowed to, in my opinion). This is just a summary, and I highly recommend that you read up on the Babylonian religion and compare it to madern day Catholisism. And I don’t mean to insult or degrade any Catholics. This is a matter of historical fact and should be researched. I’m not sure if I’m following what you were saying. Is it your contention that because the Catholic religion is the present day version of the Babylonian religion it will be the religion of the anti-Christ? I know many of the practices of the Catholic church have been passed from one religion to another since the time of the Babylonians, but why does that make it the final religion of the anti-Christ? As I said before, I used to believe it would be also, but I can’t see how it can change from its present form to one that is actively hunting down and killing Christians. That step is too big for me to take. What I see happening is the Catholic Church becoming a non-issue in world affairs. Many Catholic bishops have already publicly talked about the good merits of Islam and that we should try to find common ground with them. If they would actually look in to some history or even listen to what the Muslims preach in their own countries, they would know that they reject all the things that are basic to the Christian faith. The only way I can see the Catholic Church being any kind of player in the end is for them to continue down this path and they try to join the Muslims in a one world religion. If that is the case, then maybe we are both right. I appreciate any more thoughts you have about this and if anyone else would like to post on this subject I would love to read and find out what others have to say. That’s my point exactly. There are so many similarities between Islam, Catholisism, and New Age that once you really get into it and study the common history of all man-made religion, that it’s astonishing. For example, when the Europeans first came to the New World, they discovered that crosses (this is just one example of many) were common-place. How could a people who had never heard of crucifixion know about these things? Simple: at one time there was a common, sun-worshiping religion, with the cross (t=Tau) being a symbol of Tammuz, the son of Nimrod and Semiramis. As mankind spread out, these religions followed the tribes and peoples across the world, the same way pyramids technologies and flood epics followed. Hopefully this will clarify what I mean. I was a receiver of Prophezine news but when I questioned the Eastern leg theory, and said that perhaps getting wisdom from the Holy Spirit would be helpful and also asked if he disputed Lindsey, Jeffrey, and others on this. I am not interested in his newsletter any longer. I don't like the tone. I also think that if he is having trouble supporting is family, that he should get a job like the rest of us. Nathan, I too enjoy the Prophezine site and have read some wonderful articles. Let's just say that his response was maybe at a bad moment on a bad day and forgive him the outburst. More importantly, your response was simply perfect and I am so proud of the way you handled it! I wouldn't have expected anything less from you and it was just beautifully written. Just wanted to give you the kudos you deserve, as well as, my two cents worth! I was so saddened to hear of this rift but not surprised. Mr. Gano has disappointment me in the past with his approach to other's written works. While I admire his dogged adherence to The Word and his zeal, he seems slow in learning how to handle these types of differences in a Biblical way, following Paul's advice to the early Church about dealing with internal discord. Could this have contributed to his move to Costa Rica? We can all learn from these missteps and try even more to take our honest differences to the Lord and handle them in the way He instructs us in His Word. Ray's anger worries me. I have seen this attitude in others who once had good ministries but slid into negative emotions that eventually damaged their ministry. What is important is salvation through Christ alone. Closing events are not as important. Many details may surprise us when the last days are upon us. I doubt that anyone has it perfectly figured out. We are to walk by faith and not by sight. I am saddened by Ray's tone. He seems hurt but perhaps unjustly upset. I pray that God will help him with these issues. We need to let The Lord rebuke Ray and show him the truth. Thank you for Lamb and Lion ministries.